It wasn’t so long ago in our country’s history when “branding” amounted to nothing more than burning a rancher’s proprietary symbol into the back end of a steer to show ownership. And when you think about it, the brands used by ranchers of old were accomplishing exactly the same thing we do today—albeit in rudimentary fashion. They were displaying their personal symbol—or brand—for the world to see. If the rancher were an upstanding and righteous citizen or town leader, his brand would be associated as such. On the other hand, if he were considered a “yellow-belly-underhanded-varmint,” the brand would carry far different implications, wouldn’t it? First, what it’s not: Your brand doesn’t simply amount to a logo or identity kit. These things are certainly a part of your brand, but they don’t make it what it is. First and foremost, your brand is the emotional connection people make with you and your product or service. These connections are established through the touch points you maintain with your customers, such as your website and your print media. It’s your phone etiquette; it’s your business cards, your signage, and every email or blog post that you write. Indeed, it’s any “point” that puts you in “touch” with those you hope to help, and eventually, sell to. Approaching this can be a bit tricky. 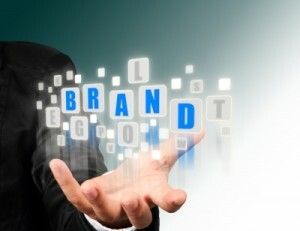 Keep in mind that your “personal” brand will always stay with you. If you’re self-employed, you’re selling yourself as much as the product or service you offer. A “business” brand, on the other hand, can be transferred. It also offers the opportunity to keep your personal life hidden behind your business, and only let people see what you want them to see. This should be considered carefully because keeping your personal life hidden behind a business brand flies in the face of all we’re hearing about “transparency” these days. It’s a tough call. To be on the safe side, keep your personal and business brands separate entities. First, even if your personal and business ideologies are completely aligned at the moment, it doesn’t mean that they’re always going to be so. People change, and so do the paths that businesses take, depending on market conditions, funding, competition, and so on. Having separate brands means having the flexibility to continually mold your brand to meet market demands and present your business in the best possible light.